Tiny, confident and utterly adorable, the Pekingese is a companion toy dog in every sense of the word. With its distinctive squashed muzzle and lion-like mane, this breed is about looking proud and graceful, with a personality far, far bigger than its minute size. The Pekingese is an ancient breed dating back 2000 years, originating in China and favoured by the Chinese Imperial Court. Only Chinese royalty were allowed to own them and they were treated with the greatest respect. According to an old Chinese legend, a lion fell in love with a marmoset monkey. To able to wed his love, the lion begged Buddha to make him smaller, but let him keep his lion heart and pride. Buddha obliged, and from the union of the two, the ‘Lion Dog’ or Pekingese was born! 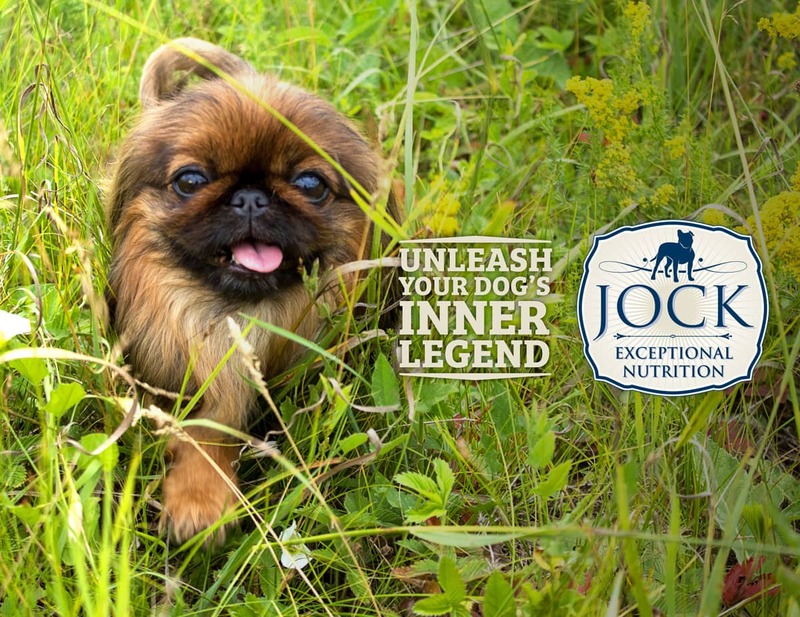 Looking at the Pekingese, it’s easy to imagine this characterful breed as a cross between a monkey and a lion. How the Pekingese ended up in the West, is another fascinating story. During the Great Opium War of 1860, the British invaded the Old Summer Palace in the Forbidden City in Peking (today, Beijing). The emperor and his entourage fled, but an elderly aunt of the emperor remained and committed suicide. She was found with five Pekingese, which were taken back to England as war loot. One of them, named ‘Looty’, was presented to Queen Victoria. Some sources claim that all modern Pekingese descended from these five dogs. 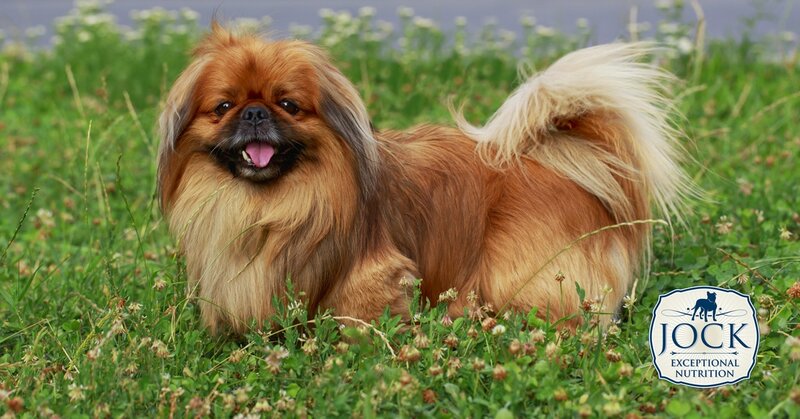 The Pekingese is compact, stocky and is longer than it is tall, with a long, mane-like coat in gold, red, sable or black (yes, it sheds — a lot). Its characteristic extreme flat muzzle and nose are always black and it stands at a height of 30­–45 cm at its shoulder. It’s quite heavy for its size — around 4 kg or so, although so-called Sleeve or Miniature Pekingese weigh 2.6 kg or less. With its abundance of attitude and aloof dignity, it’s almost like the Pekingese knows that it once lived only in the most luxurious palaces. They’re intelligent but can be notoriously stubborn, even going on hunger strikes to prove a point to their owners. The Peke, as it’s known for short, is an indoor dog and doesn’t need a big garden, but like all stocky dogs will need daily exercise to avoid obesity, while consistent socialising and training from an early age will prevent your small lion from becoming too bossy or overly shy. They do make excellent watchdogs and are sure to alert you with a loud bark if anything or anyone strange is approaching. Above all, the Peke is a companion dog, so it will need to be at his owner’s side or on her lap for as much time as possible. Changes in recent years to the breed standard now allow for a slightly longer muzzle and nose, but, unfortunately, it’s flat, squashed face does result in several health issues that include breathing problems, snoring, ingrown eyelashes and the risk of eyes ‘popping’ out during rough play. Daily brushing of the long, double coat is essential as is proper cleaning of the hindquarters as these tend to become soiled easily. Is the Pekingese for me? If you’re looking for a confident companion with the heart and grace of a lion, then a small little prince or princess from Peking might be the perfect match for you.